Still rumbling with excitement from the Winter Games, which wrapped up last month, South Korea’s Gangwon Province is playing host to another multinational sporting event, the PyeongChang Paralympics, which kicked off Friday. 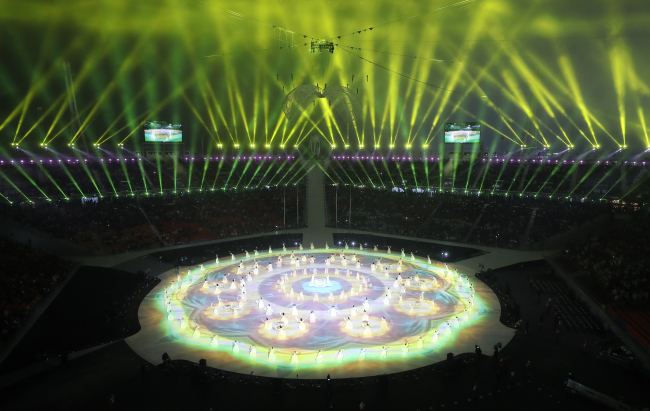 The opening ceremony for the games was held at the PyeongChang Olympic Stadium on Friday, attended by athletes and guests from all across the world. 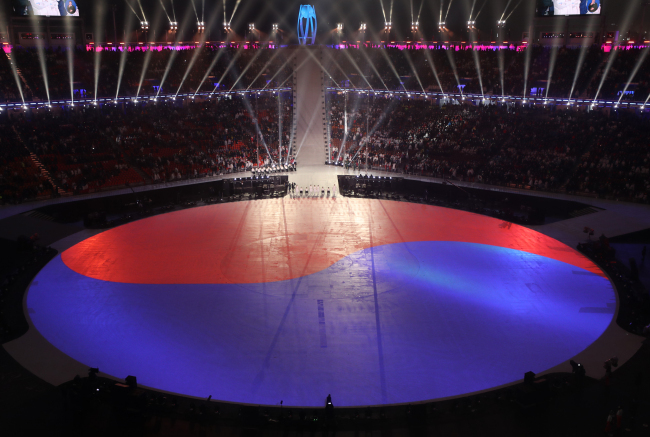 South Korean President Moon Jae-in participated in the opening ceremony, along with the IPC chief Andrew Parsons, to officially declare the beginning of the PyeongChang Paralympics. At the PyeongChang Olympic Plaza, where the Olympic Stadium is located, many spectators in wheelchairs could be seen, showing their support for the athletes. Kim Yong-seop, the 56-year-old principal of the Banditbul School for disabled students in Wonju, came with 40 of his students to witness the first Paralympic Games held on Korean soil. The Korea Spinal Cord Injury Association’s Secretary-General Elvis Lee said he watched the 1988 Olympic Games with a heavy heart, after he was confined to a wheelchair following a 1987 accident. 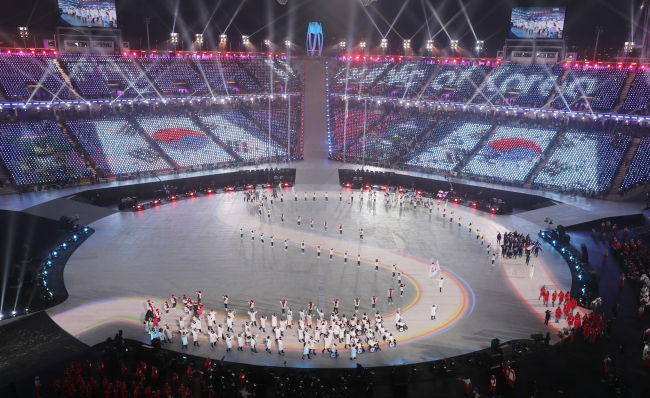 The games will continue until March 18 at PyeongChang, Jeongseon and Gangneung in Gangwon Province, and will host 570 athletes from 49 countries. Like the PyeongChang Winter Olympics, the Paralympic Games is the largest ever of its kind, according to the organizers. Competitions will be held in six winter Paralympic sports, with 80 medal events in total. For the first time ever, snowboarding will be held in a separate event, with 10 medal competitions. The hosting nation of South Korea has sent 36 athletes across all six sports, and the US has sent the most number of athletes at 68. China, which will hold the next Winter Olympics and Paralympics, has sent 26. 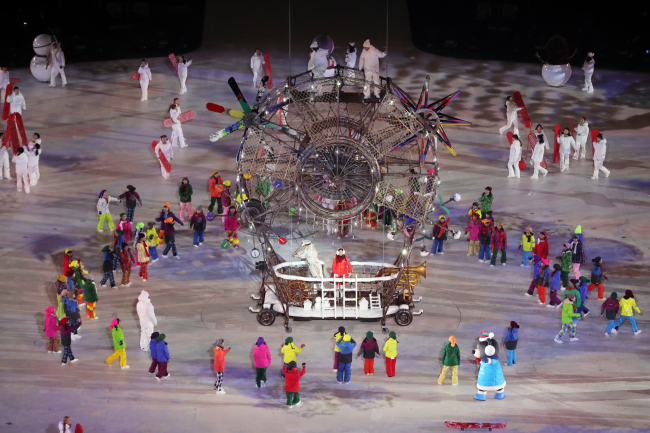 A total of 30 Olympic athletes from Russia have been registered at the games. “We couldn’t go to the Sochi Olympics because of work but came to (the) PyeongChang Paralympics. Because our team is small we wanted to support them,” said Eleonora Zaichenko, who was visiting South Korea with her son Maxim and four other members of her family. 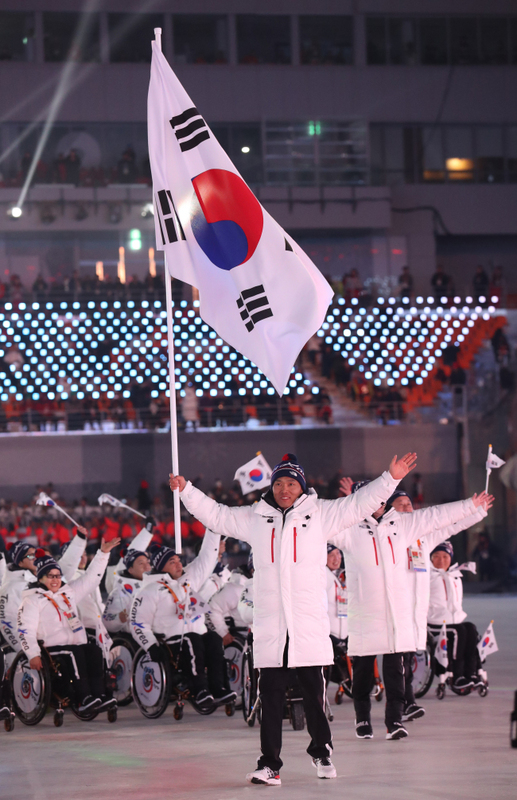 At the opening ceremony, para Nordic skier Sin Eui-hyun carried the South Korean national flag. He is considered one of the country’s top contenders, participating in both the cross-country skiing and biathlon events. It was a bittersweet scene for those who had wished to see South and North Korea march into the arena under the same flag, as they did at the PyeongChang Winter Games. The two Koreas had failed to reach an agreement on the joint parade. The discussion failed to bear fruit as the North wanted the Korean Unification Flag -- showing the Korean Peninsula in a single color -- that has the Korean islets of Dokdo, which Japan has been falsely claiming as their own, while the South wished to respect the International Paralympic Committee’s recommendation and not show Dokdo on the flag. 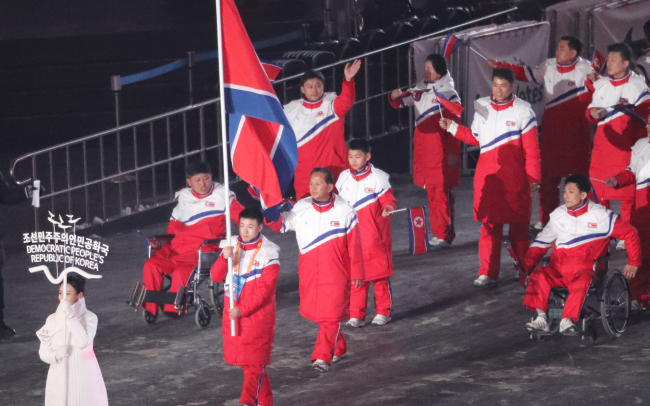 Holding the North Korean flag was sit skier Kim Jong-hyon, one of two North Koreans that will compete in PyeongChang with Ma Yu-chol, also a sit skier. Both athletes will partake in cross-country skiing events after receiving a special invitation from the IPC. Kim and Ma’s participation at the games will be a historic one, as it marks their country’s first appearance at the Paralympics. Georgia and Tajikistan are also sending representatives for the first time. In a bid to allow visitors of all ages and physical conditions to enjoy the Paralympics, the organizing committee said they have created a separate space for audience members with wheelchairs. They will also provide transportation for those with disabilities, along with sign language translation and audio commentary for those with impaired hearing or vision. KSCIA Chairman Koo Keun-hoe highlighted how there are more accommodations for the disabled. “There is now a seat for the disabled on the KTX, and there is a line connecting Seoul and Gangwon Province directly. I think these are a big step forward for Korea,” he said. For related information, visit http://www.mapplerk3.com/en. The Paralympics will also be a chance for foreign visitors to experience various culture-related programs, with a total of 600 programs being scheduled during the games. At the PyeongChang Olympic Plaza, modern art pieces such as Paik Nam-June’s “Turtle” and “M-200” will be presented at the Culture-ICT Pavilion. Traditional performances, live performances, the medal ceremony and other events will take place at the Olympic Plaza and Gangneung Olympic Park as they did during the PyeongChang Olympics. A total of 2,385 vehicles will be operated during the games for the transportation of athletes, clients and spectators. The Paralympic Games have a list of items that are prohibited in the venues, such as explosives, knives, weapons, liquefied gas and any items bearing messages that can be seen as political, discriminative, religious or sexual. For the full list, visit https://www.pyeongchang2018.com/en/notices/prohibited-and-restricted-items-at-competition-and-non-competition-venues. Lim Jeong-yeo contributed reporting from PyeongChang - Ed.